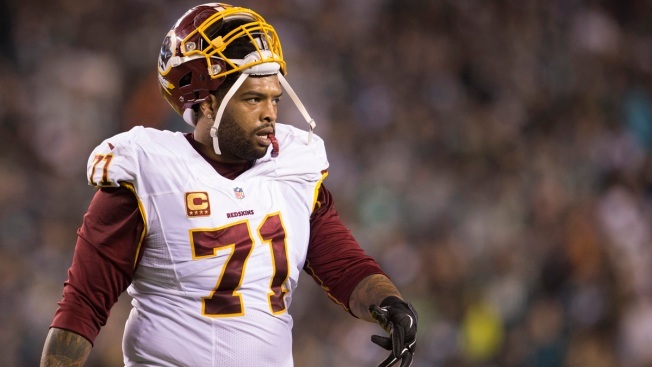 Trent Williams limping around the Washington Redskins' locker room is a common sight. The four-time Pro Bowl left tackle limping off the sideline and onto the field on game day is an even more common sight. 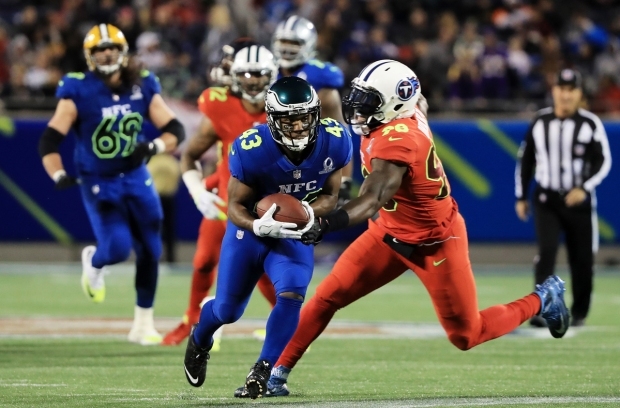 He fought through a knee injury to be in the lineup Sunday against the Cincinnati Bengals in London, fully understanding he'd have a rough morning after of pain. Williams playing through injuries has become a way of life for the Redskins. Williams' most recent issue was an injury to his left knee that coach Jay Gruden described as “structurally OK.” The 28-year-old had a sore right knee in training camp and a glute injury going into Week 2, and over the previous three seasons he dealt with wrist, foot, knee, shin, shoulder and kneecap injuries and a concussion. His ability to answer the call no matter what raises the question of what exactly would it take for Williams to miss a game. Wide receiver Pierre Garcon shakes his head because nothing about Williams playing through pain surprises him anymore. Williams has missed only three games dating to the 2012 season, and when he plays there's never a drop-off in quality or consistency. Williams joked last week that trainers could “put a little bubble gum and tape” on his knee and he'll be good to go. The 2010 fourth overall pick out of Oklahoma doesn't like to sit out and makes sure everyone knows it. Just how Williams does it is somewhat baffling even to Gruden, who said some players can be more fortunate with injuries than others. It helps that the bye week gives Williams some time to rest his sore knees, but rest assured he'll be itching to play Nov. 13 when the Redskins (4-3-1) face the Minnesota Vikings (5-2).